If you are using Lync and have a Polycom CX600 configured and conncted to your PC, can the call stay up if the PC crashes? A few of us ran some tests at work and “unplugging the USB” is our equivalent of the PC crashing. Call from Lync; answer on Lync. Transfer call to Polycom. Unplug USB and call drops. 5. 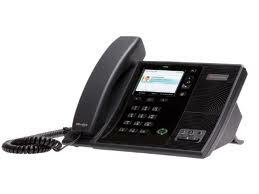 Transfer call #4 to “PC Mic and Speakers” then transfer it back to Polycom; Unplug USB and call drops. So it appears in #5 that answering on the Polycom will not always keep you alive in the event of a PC issue. In our testing, what happened when transferring the call from the Polycom to the Lync client is that Lync set up a new phone call and didn’t just redirect the audio stream. So, in general, if you initiate all of your calls on a Polycom CX600, then what your PC does is irelevant.